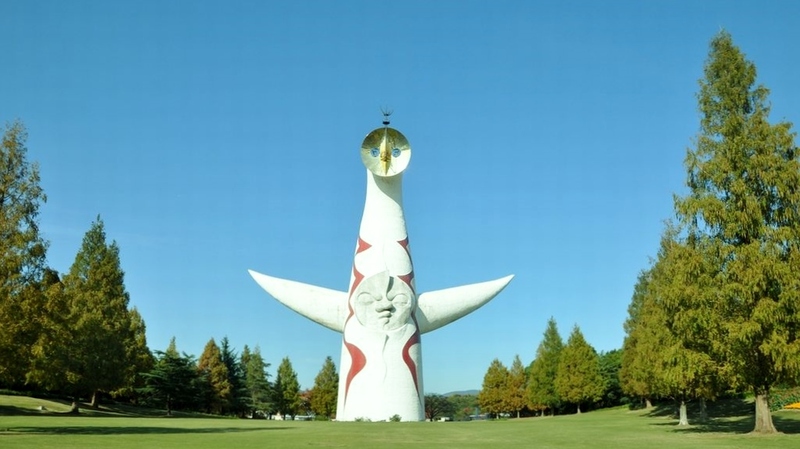 A variety of flowers bloom seasonally under the symbolic tower “Tower of the Sun” in the Expo park. 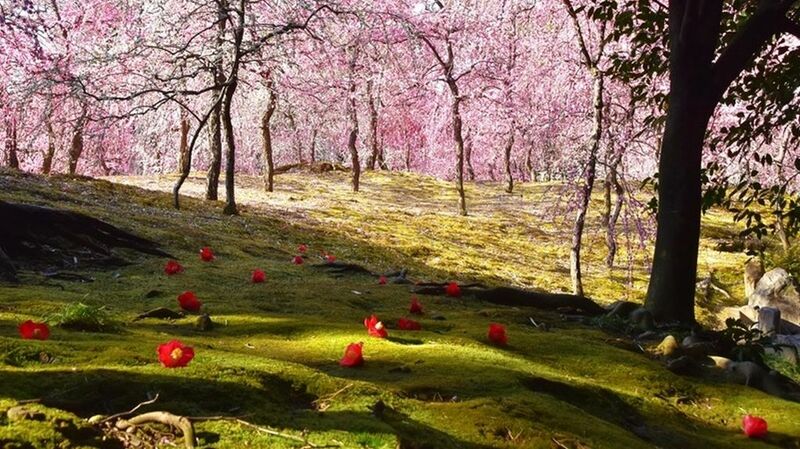 Plums blossoms and cherry blossoms are beautiful. 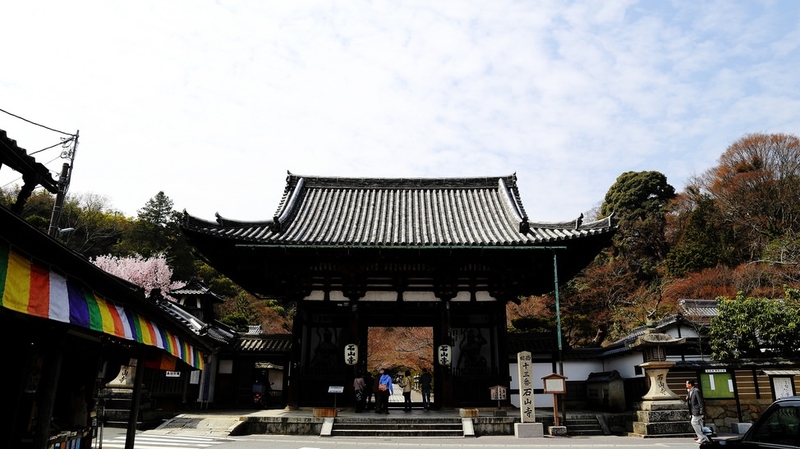 Daikaku-ji Temple is located in the northern part of Kyoto, Sagano. 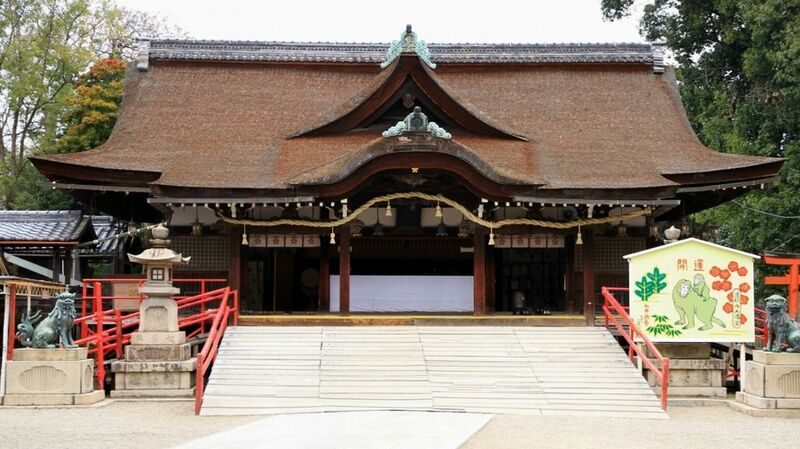 It was originally built as the detached palace of Emperor Saga to enjoy the calm area. 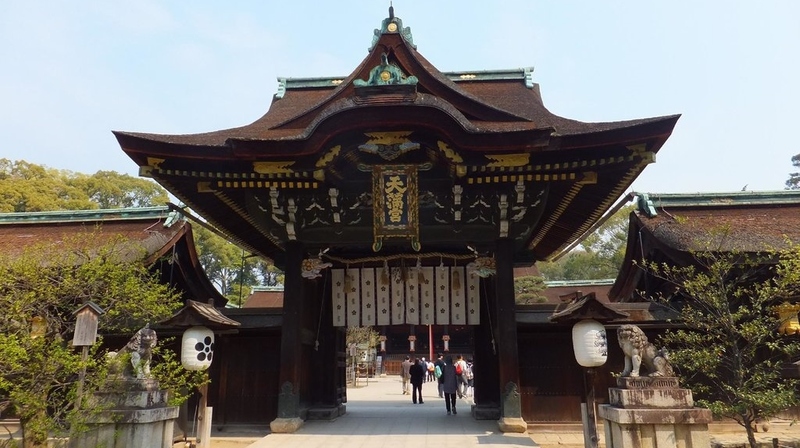 Kitano Tenman-gu enshrines Sugawara Michizane as the god or patron saint of scholarship. 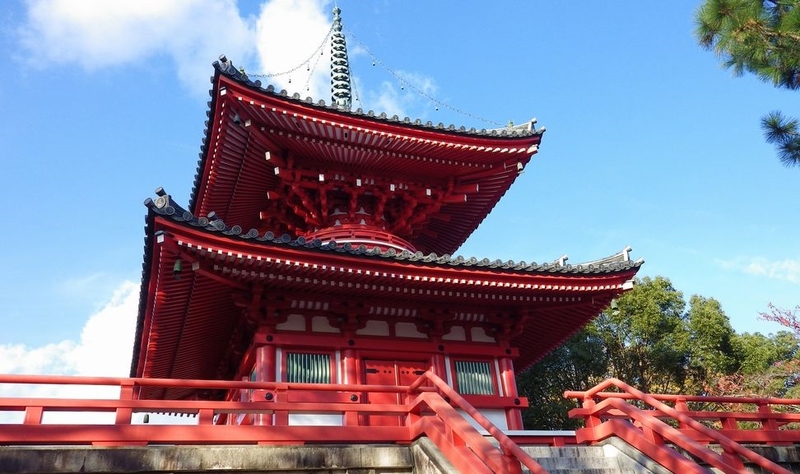 The shrine is famous as a place for viewing plum blossoms and autumn leaves. 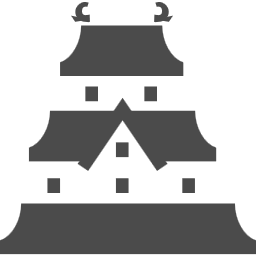 Osaka Castle is the symbol of Osaka, was built by Toyotomi Hideyoshi. 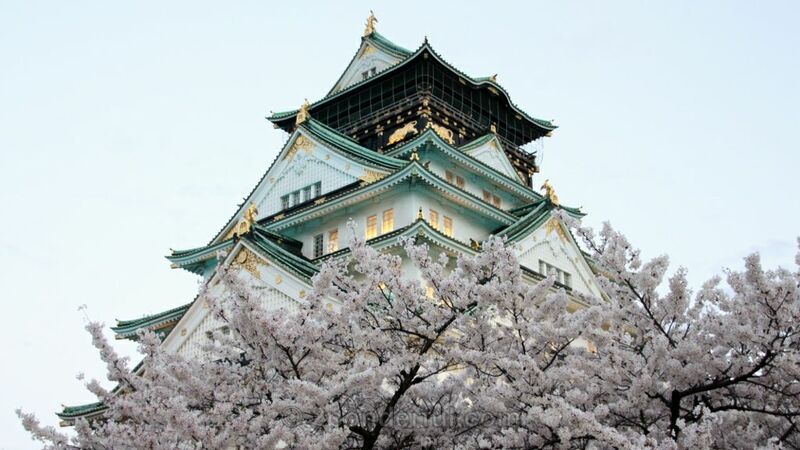 The Osaka castle park is very popular hanami spot during the cherry blossom season. 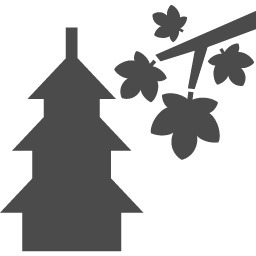 The ancient temple of Ishiyama-dera, located in Shiga offers a beautiful view with blooming flowers such as cherry blossoms.